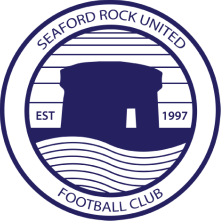 Substitute Tony Bennett was Seaford's matchwinner as the seconds battled to a satisfying three points against promotion candidates AIB in their first home match of the season. Their campaign had begun with a deserved 3-1 defeat away against former Leinster Junior Shield winners Kill Celtic two days earlier. Joint managers Darren Grealish and Barry Kirwan decided to hand Stephen Kelly a debut at the heart of the Seaford defence, whilst one of the club's modern greats Neil Harrington returned to make his first appearance in more than two years in midfield. The first half was a cagey affair, with both defences very much on top. AIB's winger Dermot Greer was one of the few standout attackers, with a series of impressive runs and deliveries from wide areas, but the whites' fullback Steve Kane got to grips with him and snuffed out the threat as the match wore on, and Harrington and Mark O'Brien began to take control of the midfield zone for Seaford. The home side survived a scare when Kelly almost turned the ball into his own net, but winger Shane Lauritsch managed to head the ball off the line to save the day. The bankers began the second half impressively, but again Seaford came into the game more as the half wore on. Andy Roe , introduced the to the line-up to play behind top marksman Frank Mulhall, ought to have opened the scoring from a right-wing cross, but headed over the bar. At the other end, keeper Jake Macken made a superb stop to keep out a 25 yard free kick, and also pushed striker Colin McHugh's header onto the post, but it was to be the home side who nicked the points late on. Frank Daly almost notched in spectacular style with a stunning volley from Lauritsch's low cross, but it was Daly's fellow sub Bennett who made the decisive intervention. Tenacious winger Donal Howley hassled an error out of a tiring defender, and then cut inside and squared the ball to Bennett whose left-footed finish was inch-perfect into the corner of the net. The home side saw out the late pressure as AIB poured forward, to secure a dogged win and a first three points of the season.